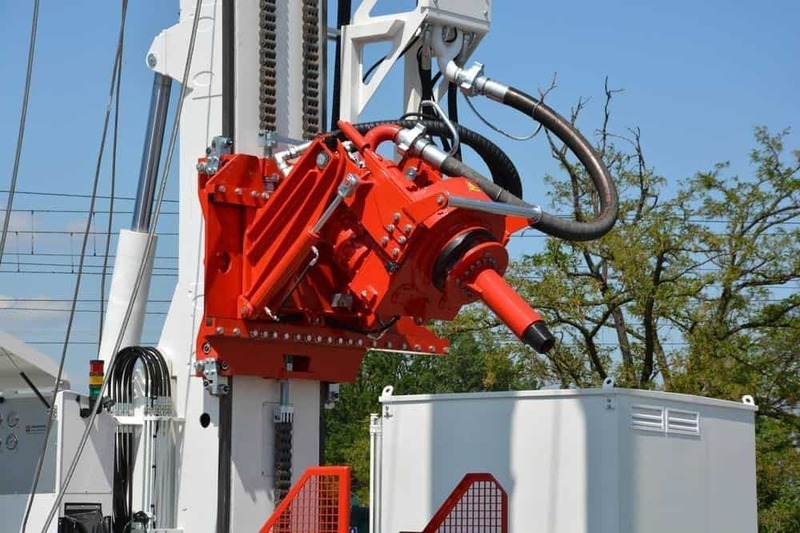 Powerful and innovative drilling machine. 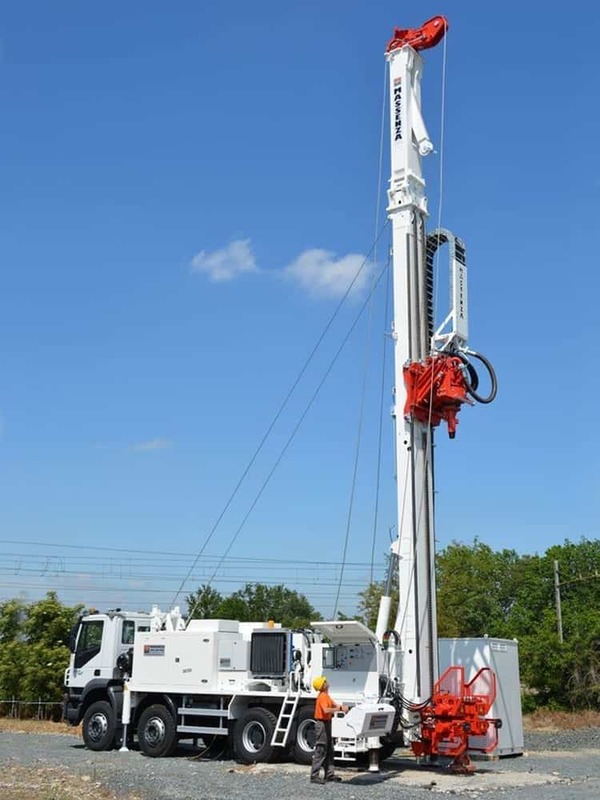 Perfect for water wells, mining research, geothermal and high depth cores. 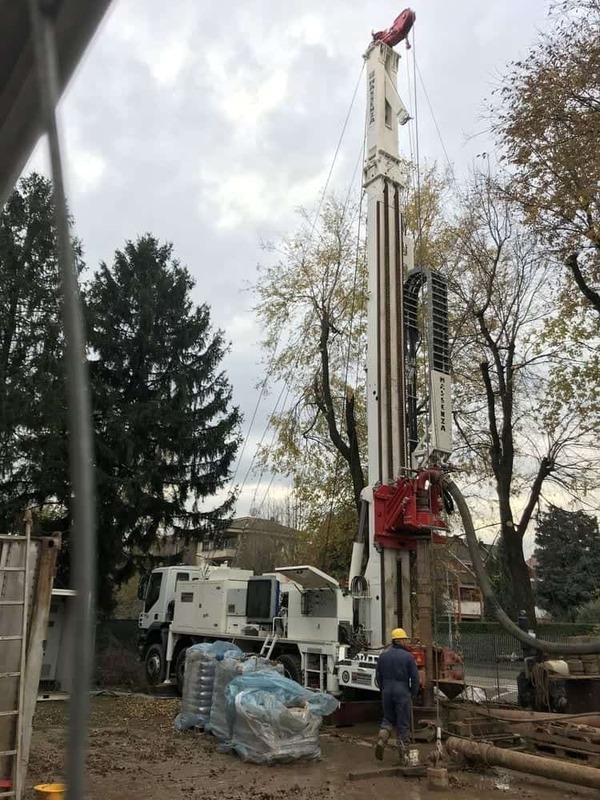 Thanks to a shot of 55,000 kg and a torque of 23,500 Nm, the MI55 can in fact reach up to 1400 m.
The peculiarity of this drilling machine, however, is to be the first true zero-emission electric drilling rig. 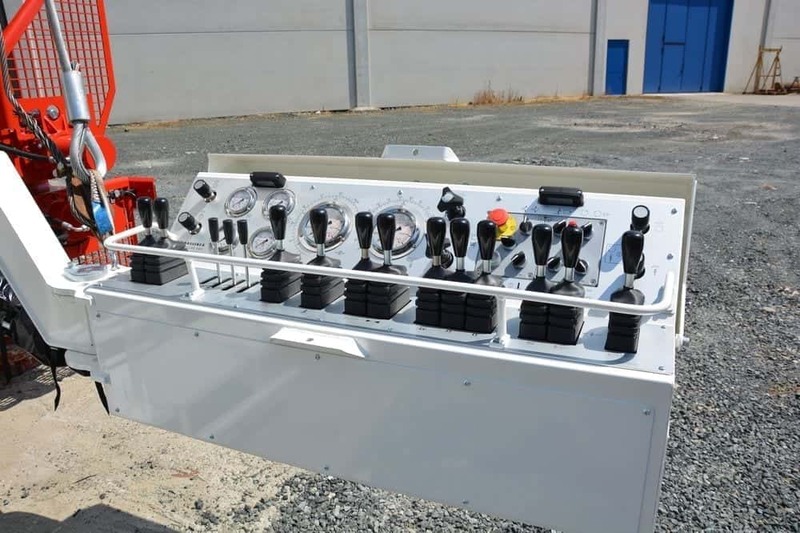 It is in fact driven by two electric motors, mounted on the machine, in turn driven by a separate generator. 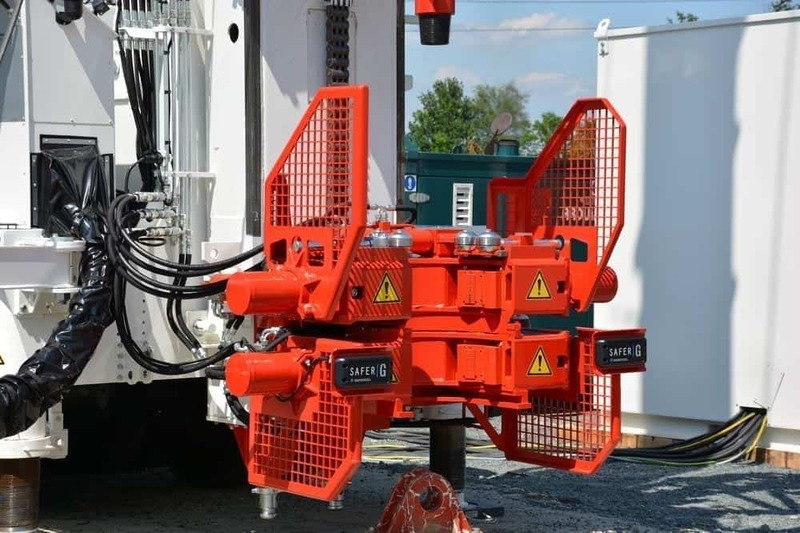 - No problem with the regulations even in the town: the generator that drives the electric motors, in fact, can be rented from time to time. 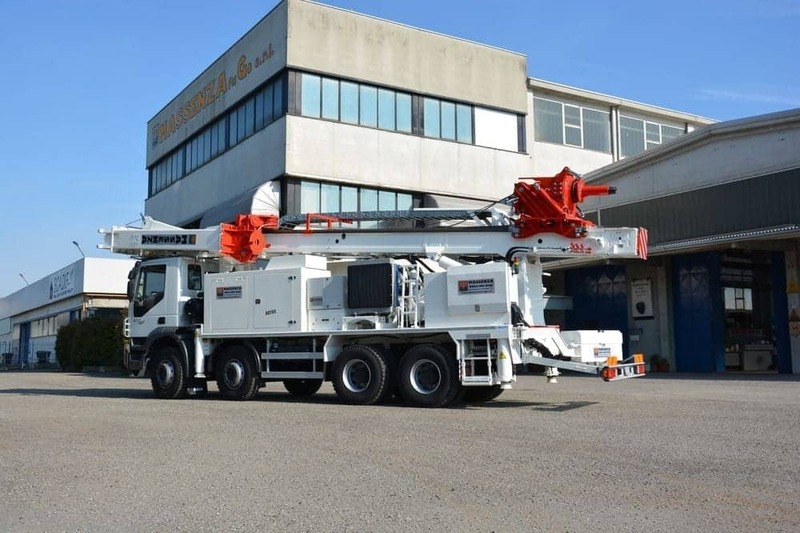 In this way you can always use a latest generation model, compliant with current regulations. 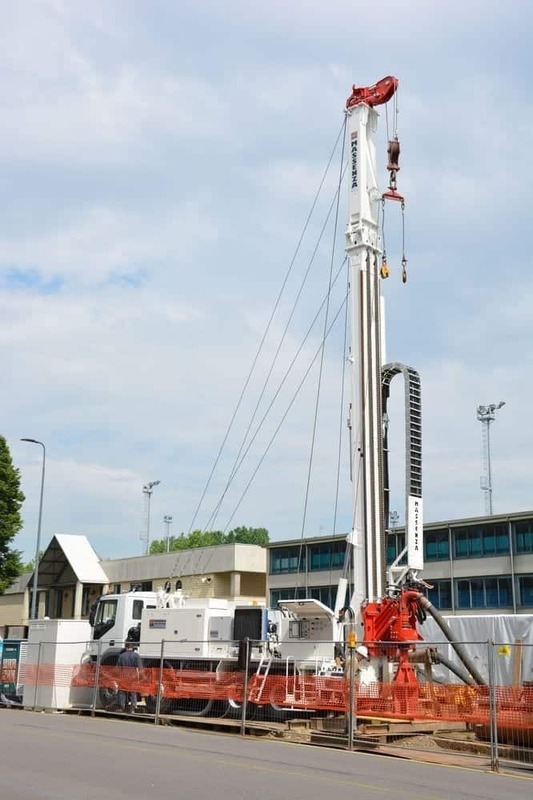 - The drilling machine is almost silent, which is a benefit for operators on construction sites and solves disturbing problems in the city. 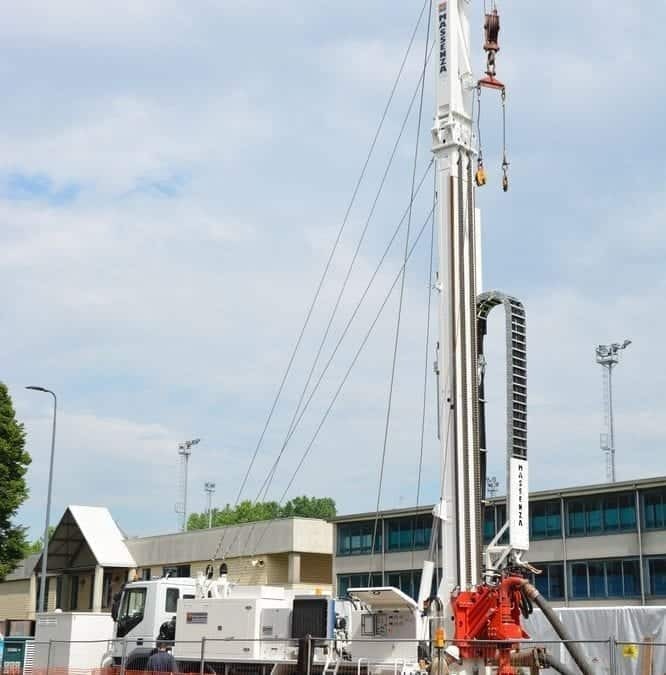 At the moment the new MI55 is at work in Milan (Italy) for the rehabilitation of a well of 450/400 mm diameter. Complete with bucket discharge hydraulic arm.